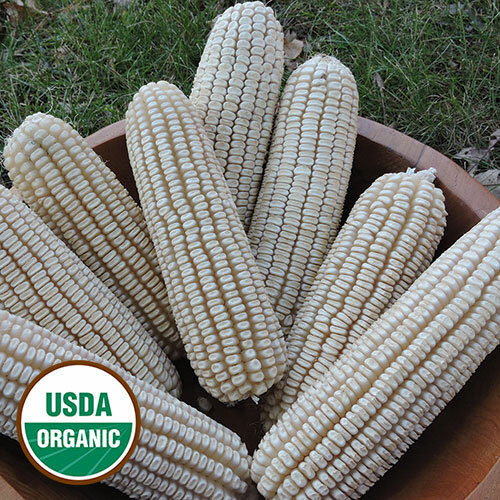 It’s really no surprise that the Johnson County White dent corn made the final cut for the 2017 Heritage Farm Collection, 13 outstanding organic seeds culled from our seed bank and offered for the very first time. It did, after all, claim the highly competitive Grand Sweepstakes Prize three years running at the National Corn Exposition in the early 1900s. The late-maturing corn traces its roots to three Johnson County, Indiana, farmers who combined their individual breeding projects into the “Johnson County White Dent”—as it was then called—in 1899. Word of the productive corn quickly spread, and by the early 1900s, it had become a favorite of Midwestern farmers. In 2014 this historic commercial variety made its way Seed Savers Exchange, thanks to a donation by Elmer Burns, who has grown it in Salem, Indiana, since 1979. Carrot, Red Surrey: A historic British variety, Red Surrey also once thrived in the United States before falling out of the domestic seed trade. Its long, tapered roots and smooth, uniform texture, in fact, are well documented in the book Field and Garden Vegetables of America, authored by Fearing Burr Jr. in 1863. This variety, donated by John Wyncoll of the United Kingdom, produces carrots that are moderately sweet when eaten raw and more earthy-flavored when cooked. Onion, Newburg: Released by longtime Seed Savers Exchange member Alan Kapuler of Peace Seeds, this storage onion is juicy, sweet, mild, and not the least bit bitter. 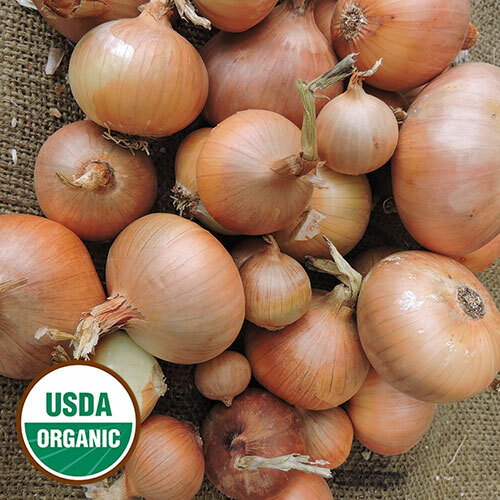 Kapuler developed the Newburg onion by re-selecting an F1 hybrid (in other words, the first filial generation of offspring of distinctly different parental types) into an open-pollinated, true breeding variety that retains the uniform quality of the original hybrid. Kale, Delaway: This heirloom kale—which boasts uniform, sweet, tender leaves—originated in the United States, moved to Ireland in the 1800s, and returned stateside more than a century later, thanks to the efforts of Shane Murphy of California. He obtained it from the Irish Seed Savers Association, which acquired it from Charlie Hughes of County Mayo, Ireland. Hughes has grown it since the 1930s, following in the footsteps of his father, Owen. Orach, Backlund Bly: These self-sowing leafy greens hail from Mark Walker and Kathy Kapitan, seed savers who have listed in the Seed Savers Exchange Yearbook since 1996. They have stewarded this tasty orach since receiving it from Mark’s uncle, Gib Backlund, who obtained it from his father-in-law, George Bly. Bly’s parents, Haldor and Ingeliv, brought the strain to the United States in 1888, when they emigrated from Norway to Minnesota. 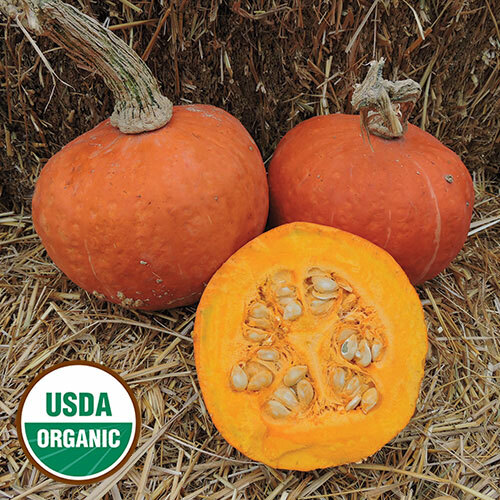 Squash, Banquet: Its smooth, sweet, buttery flesh secured this succulent squash the top prize in Seed Savers Exchange’s 2015 taste trials. Introduced in 1936 by the Oscar Will Seed Company—but absent from the domestic seed trade for decades—the variety arrived at Seed Savers courtesy of Robert Kennedy of Michigan. We are thrilled to reintroduce it to squash lovers everywhere. 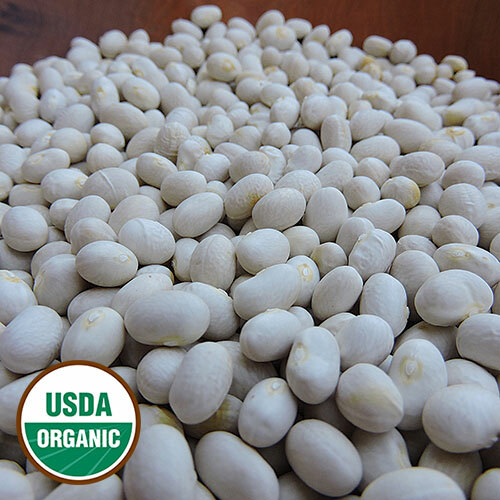 Pea, Swenson Swedish: When Carl Johan Swenson settled near Clinton, Minnesota, in 1876, he brought these sweet, flavorful snow peas with him. Decades later, he told his grandson, Charles Swenson, that both he and the peas came from Småland, a southern province of Sweden. Charles’s first memory of these vigorous climbing peas is watching his grandfather plant them around a tripod of sticks in the 1930s. 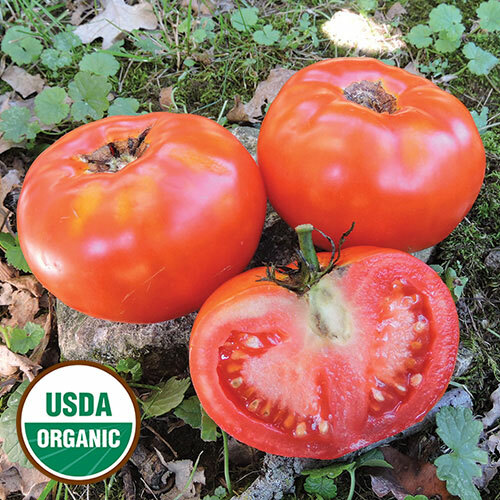 Watermelon, Funk Family Heirloom: Weighing between 12 to 21 pounds when grown at Heritage Farm in Decorah, this flavorful fruit regularly surpasses a remarkable 30 pounds on the Kansas farm of Jerry Brown, its donor. Brown obtained its seeds in the early 1960s from Walter Funk, whose family began stewarding this sweet, juicy watermelon in the 1870s. Tomato, Livingston’s Paragon: Seedsman Alexander Livingston, widely credited with popularizing the tomato in America in the late 1800s, described this aptly named, red, globe-shaped fruit as “the first perfectly and uniformly smooth tomato.” This variety hails from Mike Dunton, Victory Seed Company founder, who has spent the last 20 years researching and locating authentic Livingston tomatoes after they all but disappeared from the commercial seed trade. 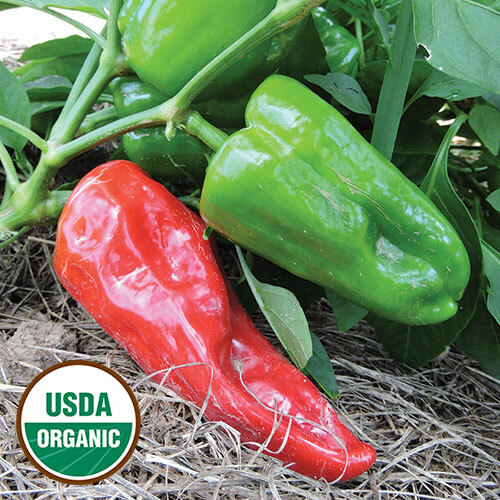 Pepper, Derksen: These short-statured plants yield flavorful, bell-shaped fruit of medium to high heat. Green before ripening to red, this special pepper was donated to Seed Savers Exchange by Dennis Derksen, who received it from his parents, who, in turn, received it from family member Anna Derksen. The pepper migrated to the United States from Russia in the 1850s with German Mennonites who settled near Mountain Lake, Minnesota. Pepper, Ausilio Thin Skin Italian: This Italian-style, thin-skin frying pepper has moderate to high heat. Donor Chad Ogle-Riccelli of Des Moines, Iowa, traces its origins to his great-grandparents, who immigrated from Italy in the early 1900s and settled in Des Moines, where they met and married. Their daughter, Theresa Ausilio Riccelli, now in her 90s, can still recall the pepper growing in their family garden when she was just a child. Bean, Nora’s Baudette Baking: Nora Scott grew this bush bean on her farm in Baudette, Minnesota, for more than 60 years after obtaining it from her mother, Ragne Lauritson. Nora’s granddaughter, Crystal Mathisrud, recalls her grandmother and great-grandmother mixing the beans (good as both a dry and shelling bean) with a bit of bacon and molasses to produce baked beans that were in high demand at community and family gatherings for generations. 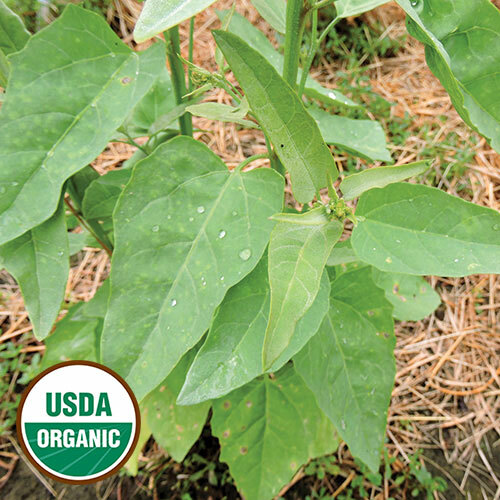 PLEASE NOTE: This seed is free, with a limit of one packet (50 seeds) per customer per order, due to low germination caused by record rainfalls experienced at Heritage Farm in Decorah this fall.